What mistakes should I avoid after a car accident? I’ve been asked many times, “What are the common mistakes people make when they’re involved in an auto wreck with an injury in Oklahoma?” The first one that comes to mind is that people believe that they’re not really that hurt, that their pain is going to go away quickly, they don’t want to make a problem by making a claim and they don’t want to cause the person that hit them trouble, and so they don’t seek medical treatment. They try to be tough, then in a few weeks, the problem manifests itself and it gets a lot worse. They go to a doctor and they make a claim, and they make statements to the doctor, and the insurance company will use that lack of seeking treatment in a timely fashion against you, saying, “Well, if you really would’ve been hurt, you would’ve sought treatment immediately.” Seek an evaluation immediately, even if you don’t think you’re really hurt that bad at the time. Get to a doctor, make a record, make a path that your attorney can follow someday if you do need to make a claim. The second mistake that people make is they don’t tell their doctors everything. Make sure you tell your doctors your history. If you’ve hurt your back six years earlier and you hurt your back again in this wreck, that’s okay. Tell them. Don’t not disclose something because you think it’s going to hurt your case. Full disclosure is always the best. Not telling a doctor about a previous back injury might hurt your case, so be honest with your doctor and be honest with your attorney. Another mistake people make is they don’t hire a lawyer soon enough. They think, “Well, I don’t want to hire a lawyer. Lawyers just get in the way. It’ll drag it out and we won’t be able to get this case settled quickly.” Odds are, you’re not going to sell your case quickly for adequate amount of money. The insurance company is not going to offer you an adequate, fair amount to begin with. Hire a lawyer so they can help you navigate through this. Don’t think that you can do it yourself; you can’t. There are just too many things to worry about. Another mistake people make is that, when they get to the accident scene, right after the wreck, there are people there that come up, and people forget to collect evidence. Make sure you get the names, addresses, and phone numbers, of people that come to help you get out of the car. Get all that information because this is a transient world now. People move a lot. They relocate a lot. They travel a lot. Someone who sees the wreck might be from Memphis, Tennessee, and they’re leaving town that day. Don’t hesitate to ask people for their names and addresses. If you want to, just give them your cell phone or have them type in their name and cell phone number and save it as a contact. Get names of your witnesses, take pictures of the scene, and make sure you download those and save them. Another mistake that people make in auto wrecks in Oklahoma is that oftentimes, they might be on the phone when the wreck happens. That’s not totally a bad thing, especially if you have Bluetooth. Don’t immediately try to delete stuff off your phone so the police won’t see it; that’s not going to work. Just be cognitive of your cell phone as evidence. Make sure you save your text messages from the time before and after the wreck. Make sure you keep a record of your phone records as well. That’s becoming a bigger issue. The other mistake people make in car wreck cases is they don’t really take their injuries serious enough. If you don’t take care of a minor injury, sometimes it can turn into a more serious injury. That’s a problem because our main goal is to get you back into your normal day-to-day routine. The sooner you address your problem, the sooner you can get it fixed with medical treatment. Were you or a loved one seriously injured after a motor vehicle wreck and have questions about the mistakes to avoid after a car accident? 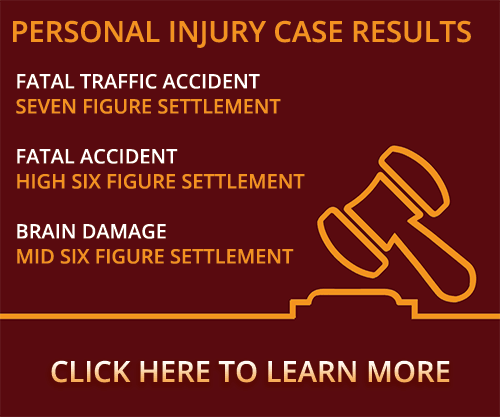 Contact a Stillwater car accident lawyer at Murray Law Firm today for a free confidential consultation and case evaluation. Let our experience work for you.